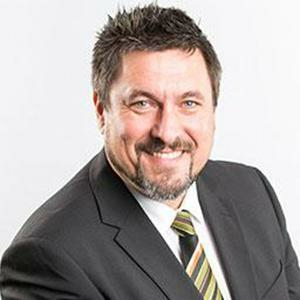 Peter Auhl has left his role as chief information officer at City of Adelaide and has moved to NSW as Central Coast Council’s new technology chief. Auhl started in his new role as CIO at Central Coast Council this month and is working with the organisation’s chief technology officer, Martin Elwell who had been interim CIO before Auhl’s arrival. Meanwhile, City of Adelaide’s team leader, business solutions, Sonjoy Ghosh is currently acting CIO at the council, Auhl told CIO Australia. Auhl said he will be working on projects at Central Coast Council that are focused on improving customer outcomes. These include a major systems integration project, enterprise data management, Smart City and telecommunications initiatives focused on economic growth and investment attraction, he said. Auhl had been CIO at City of Adelaide since February 2015. He was the architect of Ten Gigabit Adelaide, a network that has helped the city’s businesses overcome cloud connectivity issues due to ever-increasing domestic traffic creating by services like Netflix and YouTube. Established earlier this year, the network transfers business traffic from the internet to private links and interconnects. Auhl, who placed number six in the 2018 CIO50 list, said the network is providing Adelaide businesses with communications capacity that is matched by any other city in the world. The network connects more than 1000 buildings and 3,500 businesses on a common network. Auhl and his team also created the Adelaide Insights Dashboard, a tool that pulls in data from various local and national sources and presents it in a toolkit that can be accessed from anywhere and at any time. Insights provided by the dashboard increase success rates for new and expanding Adelaide businesses and highlights opportunities the city has over its competitors. “I have thoroughly enjoyed my time at the City of Adelaide and am very proud of what my team has achieved,” Auhl told CIO Australia. “To be the architect and lead of the Ten Gigabit Adelaide project was a highlight. Bringing together a team of talented people to deliver the world-first project was challenging but incredibly rewarding," he said. “It sets an incredible foundation to build from and continue the growth that has been palpable since the announcement this time last year. A product of more than three and a half years, it has transformed the perception of Adelaide forever,” Auhl added. Auhl said it was a tough decision to leave his home town but he is excited about the new role. Finally, Auhl said the council is looking for new staff in areas ranging from service delivery to enterprise architecture and data leads.